THIS IS THE STORY OF REECYCLE. The REEcycle story began at the University of Houston, where REEcycle’s patented technology was initially discovered by Dr. Pradeep Samarasekere under the guidance of professor Dr. Allan Jacobson. While all students in the Wolff Center for Entrepreneurship at the Bauer College of Business, Casey McNeil, Susan Tran Bohuslav and Cassandra Hoang began working to bring REEcycle’s innovative rare earth recovery technology to market. From 2014 to 2016, REEcycle went on to win top honors and national awards at business plan competitions hosted by many top universities. In late 2014, REEcycle went on to win all three top prizes at the Department of Energy’s National Clean Energy Prize Competition. REEcycle has now received both a Phase I and Phase II award from the National Science Foundation bringing total non-dilutive cash received to over $1.2 million dollars. Using this funding, REEcycle has been able to move forward with the build out of a pilot facility intended to prove the feasibility of a full-scale, commercially viable process. Casey possesses an extensive background in the electronics recycling space through his various leadership roles within the industry. Casey currently focuses a majority of his attention in REEcycle on working with electronics recycling companies to develop more efficient techniques for magnet extraction and procurement. His strategic insight into the electronics recycling industry is attributed to his founding of Vendera Mobile, a start-up focused on managing and recycling mobile devices for large enterprise clients. Prior to Vendera and REEcycle, he was an initial member of iCracked, a high growth Silicon Valley cell phone repair and recycling company. Susan graduated with honors from University of Houston in December 2014, majoring in entrepreneurship and accounting. Before starting college, she had extensive experience in the culinary field, which required creativity, consistency, and endurance. While working at multiple high-end restaurants and an accounting company, she learned how to manage inventory, costs, production, and staff. Currently, she combines her business education and experience with her enthusiasm for entrepreneurship to bring REEcycle to commercialization. 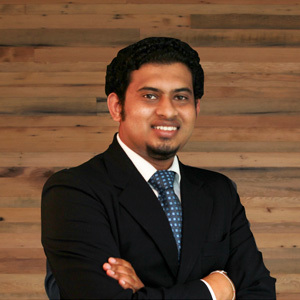 Dr. Pradeep Samarasekere is REEcycle’s lead scientist and the co-inventor of the technology. Dr. Samarasekere possesses a PhD in Chemistry specializing in materials chemistry. His expertise is in wet and solid-state inorganic/organic material synthesis, structural and physical characterization. Dr. Samarasekere is currently researching solutions to the potential hurdles REEcycle may face in scaling the process to commercialization. In the future, he will oversee all of REEcycle’s technical operations. Luke is responsible for the planning and development of the magnet recovery systems critical to providing REEcycle with the feedstock necessary for maintaining operations. Luke's unique background and experience in areas such as robotics, tool manufacturing, machining, and 3D design has allowed him to excel in overcoming the many hurdles present in the development of complex recycling technologies that have never before existed.